Doesn't the doe-eyed beauty look gorgeous in this? 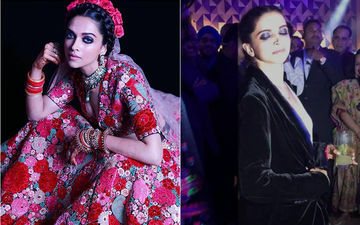 Not only that, Sabyasachi, who has been styling Deepika throughout the wedding functions, opened up about the lehenga-choli. 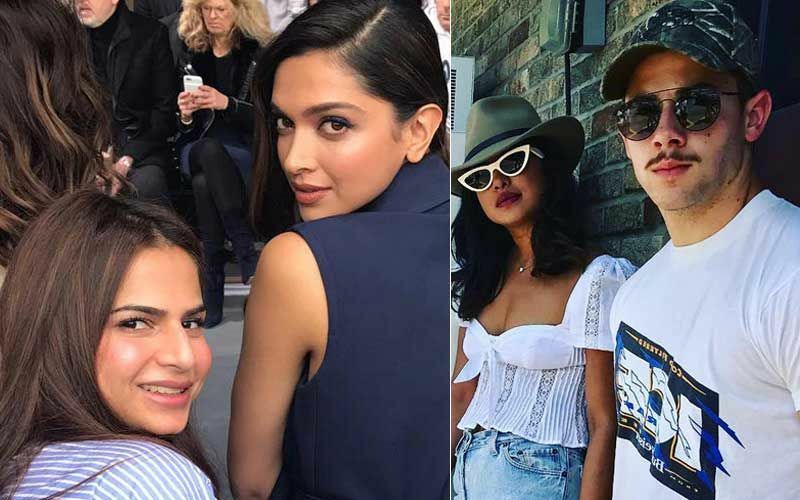 He shared multiple pictures of the leggy lass, and her transformation from bling to blazer is not to be missed. 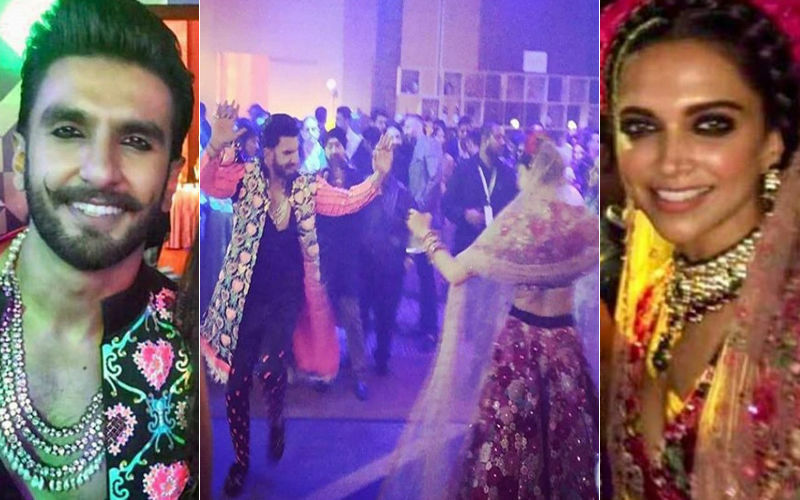 While Deepika had a change of attire, Ranveer kept on dancing in the LED-flashing outfit he was wearing. He was too excited to be calm. Watching him dance through the night made our day for sure. 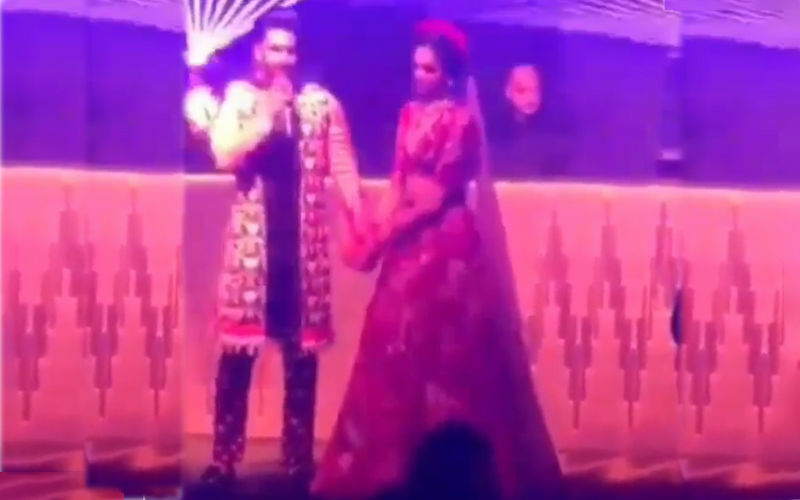 From dancing to songs from each other’s movies, Ranveer and Deepika were also seen going up to the stage to thank the audiences. 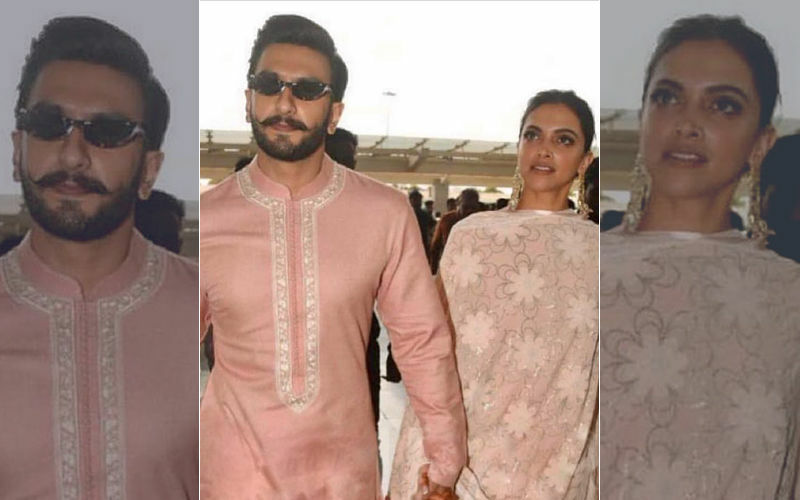 Ranveer introduced Deepika as the most beautiful woman in the world, and she went speechless. 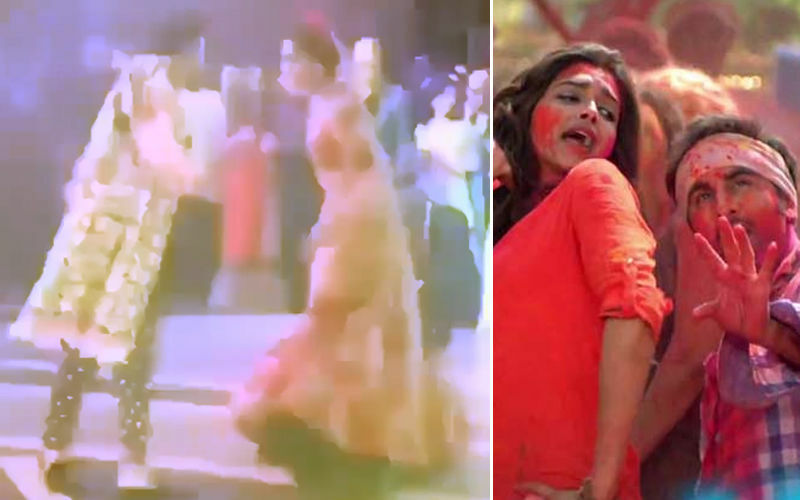 Also, he danced to his idol Govinda's songs, which was a treat for sore eyes.